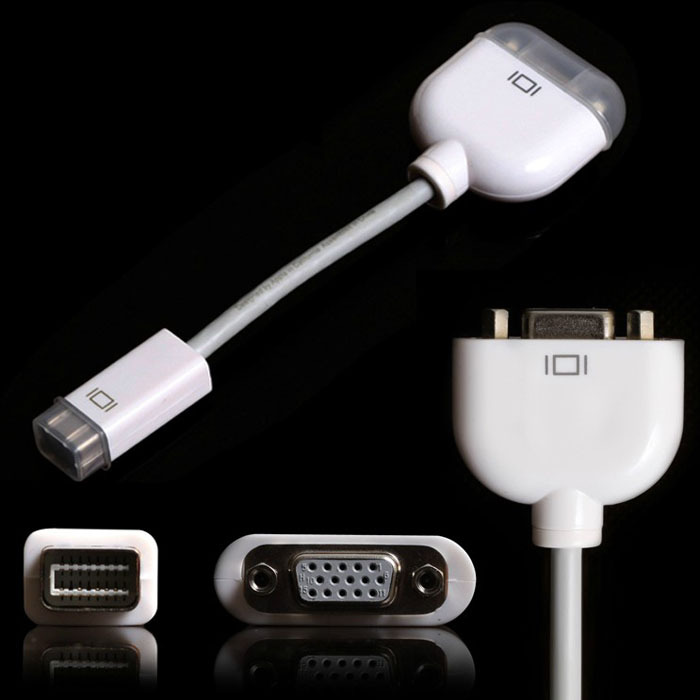 The Mini DVI to VGA display adapter for connecting Macs equipped with a DVI port to an external VGA monitor or projector at home, office or to have handy while on the road.The DVI to VGA display adapter was specially designed to allow users to connect their DVI equipped Mac mini,PowerBook G4, or Power Mac to an external VGA monitor or projector for 24-bit video-mirroring or dual display. The DVI to VGA adapter plugs into the DVI port built into the new Mac mini, a PowerBook G4 or into Power Mac with NVIDIA or ATI Radeon graphic cards which feature DVI ports. Connect the adapter to the Mini-DVI port of the computer and the VGA end of the adapter to an external VGA monitor or projector. You can use this cable in both video mirroring and extended desktop modes.